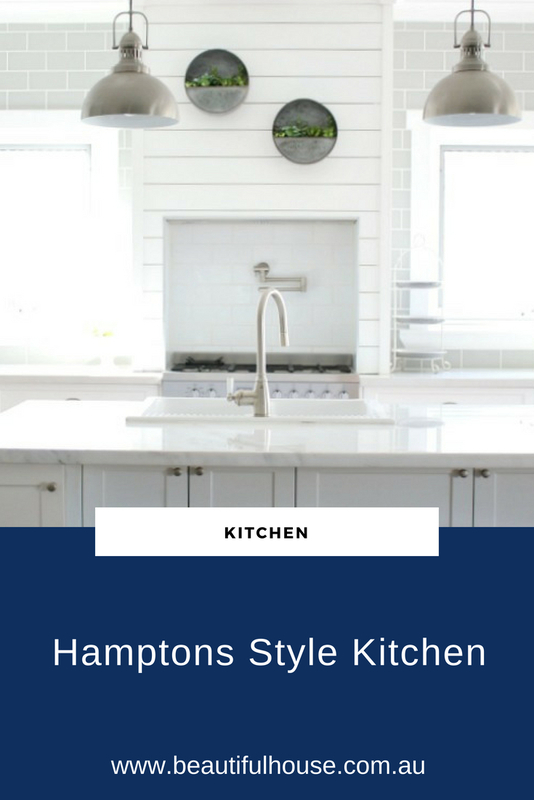 Today I have a beautifully designed hampton’s style kitchen to show you. 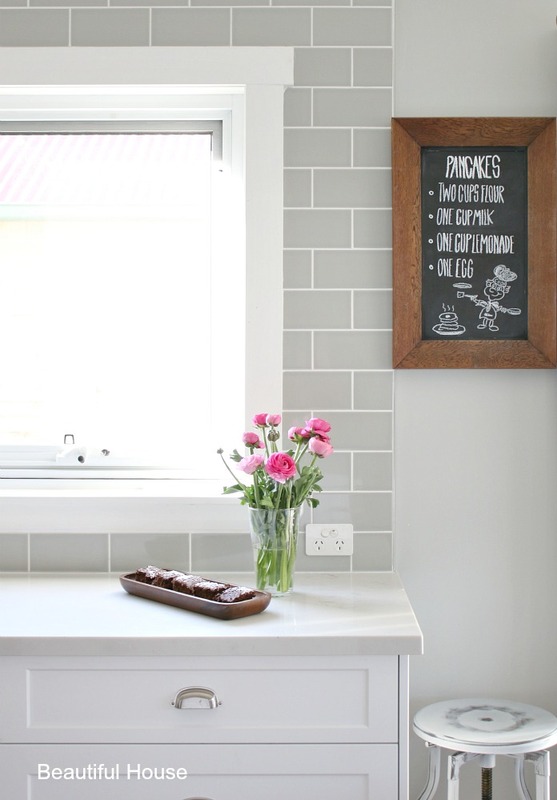 This kitchen belongs to my friend Jo, who lives here on the Mornington Peninsula with her husband and four children. 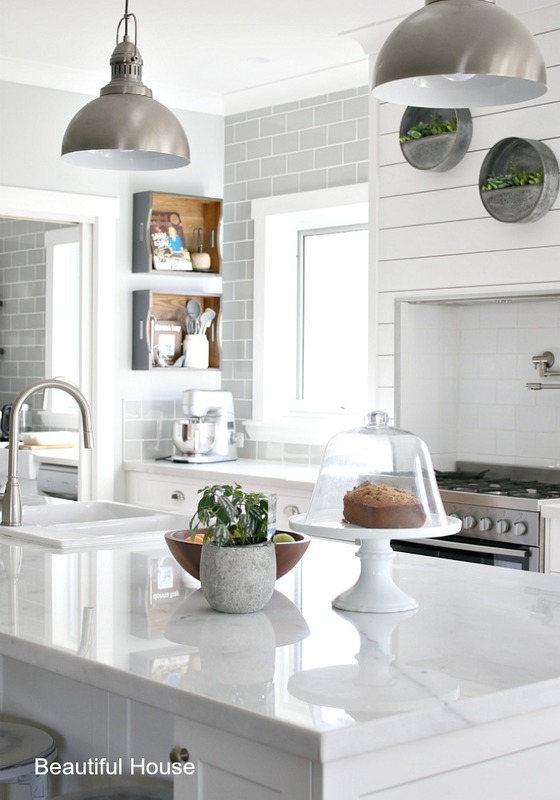 Jo and her husband Dan have designed and built their own Hampton’s Style home. Today I’m going to take you on a tour of the kitchen. Come and take a look. 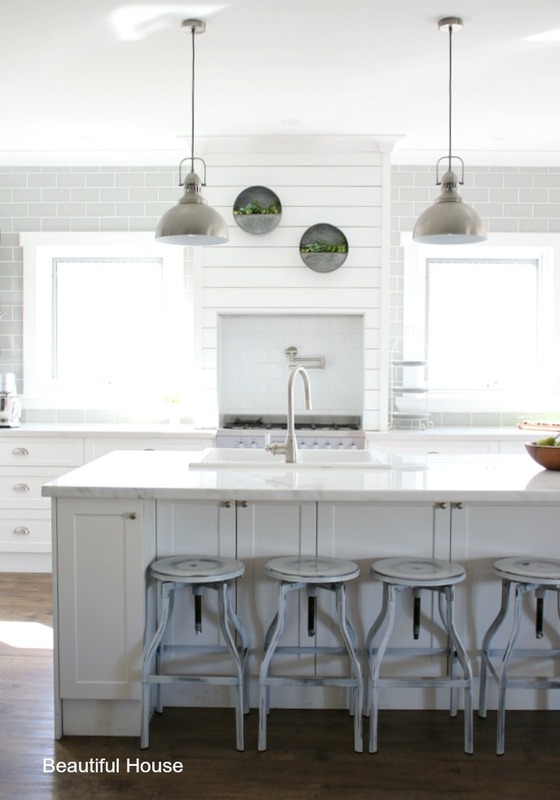 Jo has used a classic grey subway tile and added shiplap panels above and around the oven in her hamptons style kitchen. I love how Jo has incorporated a pot tap above the oven. This is such a practical solution and looks great too. The kitchen stools were purchased from Early Settler. 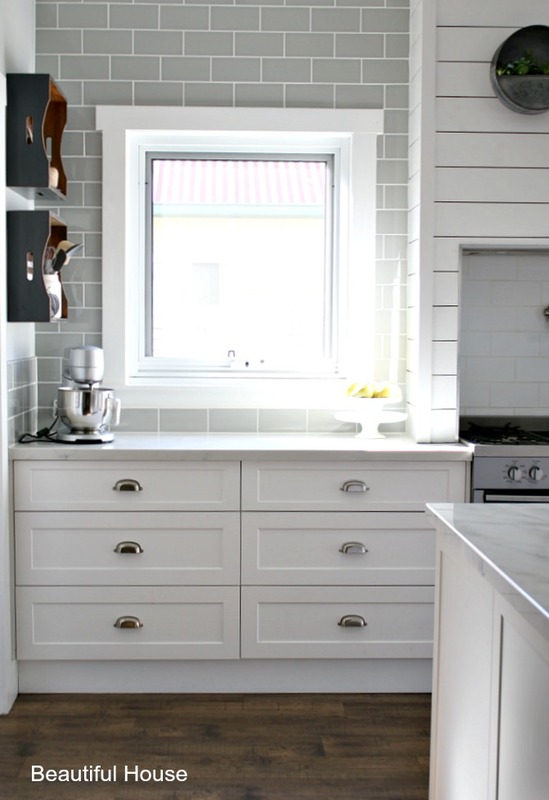 The use of the boxes on the wall add charm to this stunning kitchen as well as Jo’s home baked goods. 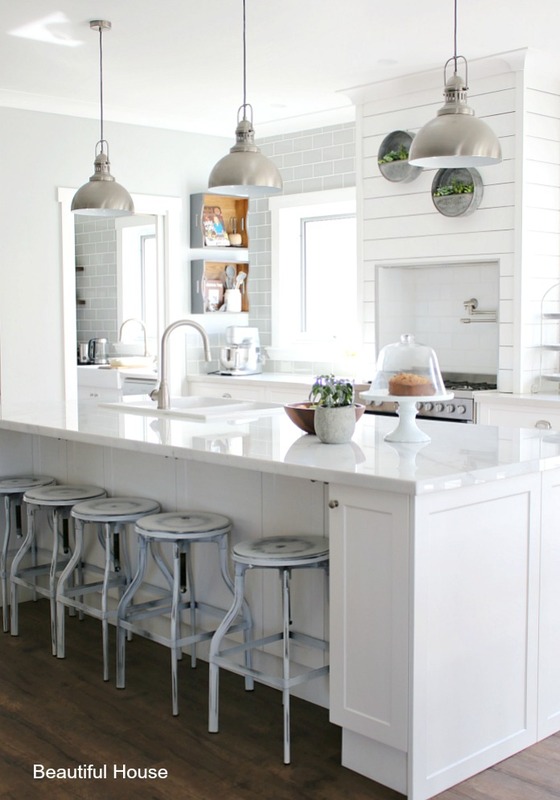 The kitchen pendant lights were sourced from Cetnaj. The pantry is the perfect size. Fitted out with shelving and so beautifully displayed, the shaker style cupboards are continued in the pantry. 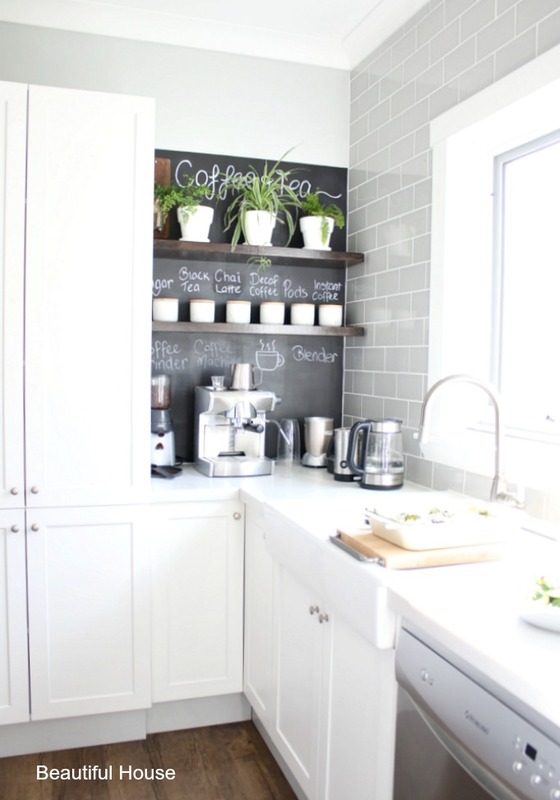 Don’t you love Jo’s coffee station, complete with shelving and chalkboard. Jo has finished off her display with some lush green potted plants. This is such a great idea. I hope you loved this kitchen as much as I did. 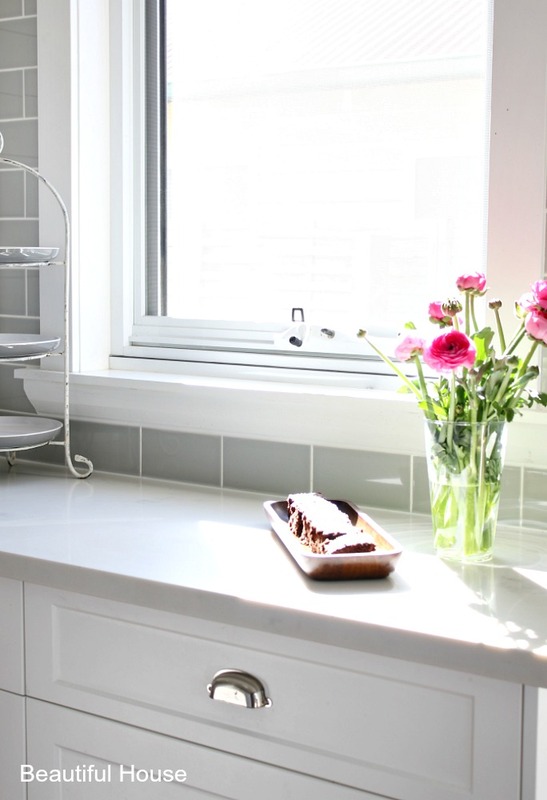 With a family of six Jo has designed the perfect kitchen to not only look amazing, but is practical and functional too. If you have small children you may want to visit Jo’s website, Wee Target, a fun way to keep your bathroom cleaner. Wee Target is designed to create an incentive with Toilet Training and positive toilet habits no matter what the age.